What kinds of farms on Vietnam tour? 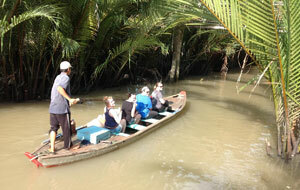 Why join Vietnam Farm Tours - Horticulture Tour with us? Want successful study tours on Vietnam agriculture, horticulture tour? Deluxe Vietnam Tours gives you the solutions you need to enrich your world agriculture experience. Thank you so much for giving us an experience of a lifetime! We appreciated all of the knowledge you shared with us and the generosity you showed to our group. You truely made our trip special! 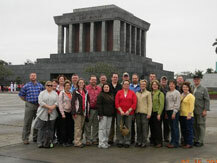 Who will be your expert on Vietnam Farm Tours? 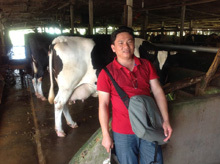 Our agricultural expert - Mr. Thai was born in a farming family in the Red river delta of the North Vietnam. He worked as a farmer when he was a student under the subsidized time of Vietnam and the innovation time called Doi Moi in 1986. His family started running a 5.7ha farm of chicken, duck, fish, vegetable and cow. Nowadays, the 15ha farm is being run by his uncle. Besides, He was hired to run the chicken and pig farms for DuyenThai community while he was studying tourism at university. With great experience on Vietnam agriculture, disadvantages and advanantages which Vietnamese farmers have, he will help you have successful study on inside Vietnam farm.